There are so many helpful apps for you to stay organized! Calendars, note pads, memos, lists, etc. It is helpful and all, but it gets hard to keep track of all of them and you find yourself using random pieces of paper to write down important information. While getting ready for the networking event, you get yourself a nice new notebook and lose it by the next event. Inconsistency may cost you a pretty penny. You won’t get the return of investment on the events you attend if you have no proper notes and can’t follow up. Luckily, there is a solution. A 100AM (iOS and Android) networking app allows you to make notes right at the contact. 100AM automatically stores when and where you met and you can add notes what you have spoken about and how can you be of use to that person. Next time, this can be a conversation starter. 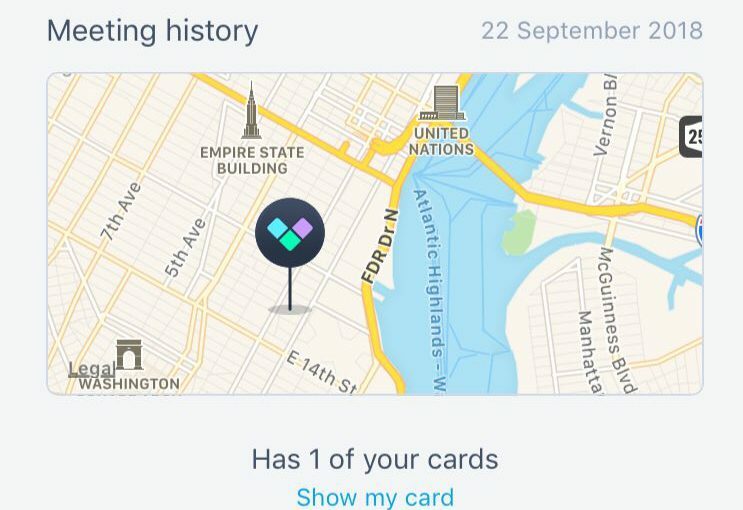 Be consistent: scan a card, make a note. You can later search in 100AM through your notes. There is also an option of setting important tasks (To-Dos) related to a specific contact: follow up, call, set up a meeting, send a proposal, invoice, etc – and syncing them with your calendar on your phone. This is the most important thing we have discussed in the article Basics of Networking: Follow up. 100AM is helping you take this next step with confidence since you have all of the information stored in one place. Very convenient. You will always keep your promises and look good in front of the client/partner. Bonus: free more space on your phone by deleting other single-feature apps.